This morning Emily made the mistake of watching this video in the studio before the show. It completely wrecked her and she was trying to hide her face from Dave as she wiped away the tears. Meanwhile, Dave was trying to send Sarah secret signals to figure out what was wrong with his co-host. Needless to say, it was a rough start to their morning. The video is from Mumford & Sons "Beloved." Everyone knows loss in one way or another,” Marcus Mumford said in a statement. “This song is about that. I’d never sat with anyone as they died before, and it had an effect on me. As it does everyone I know who has experienced it. 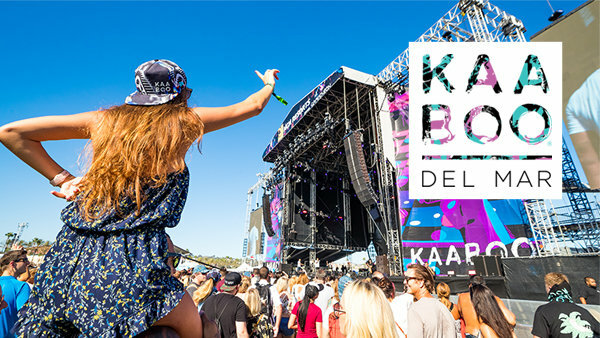 Mumford & Sons will be playing at KAABOO Del Mar this year!